Are you searching for free kindle books? This post will help you to get Kindle Books for free. Here is the list of some online resources which can help you in getting large collection of free kindle books. I hope that these kindle book resources will keep you away from searching for the same. 1. Project Gutenberg: This online resource offers over 36,000 free high quality e-books which you can download to your PC, Kindle, Android, iOS or any other portable device. These are available in ePub, Kindle, HTML and simple text formats. 2. Google E-Bookstore: This online store offers millions of ebooks, from bestsellers to favorite classics. 3. Internet Archive: A digital library offering free access to researchers, historians, scholars, books, movies, music and archived web pages. 4. 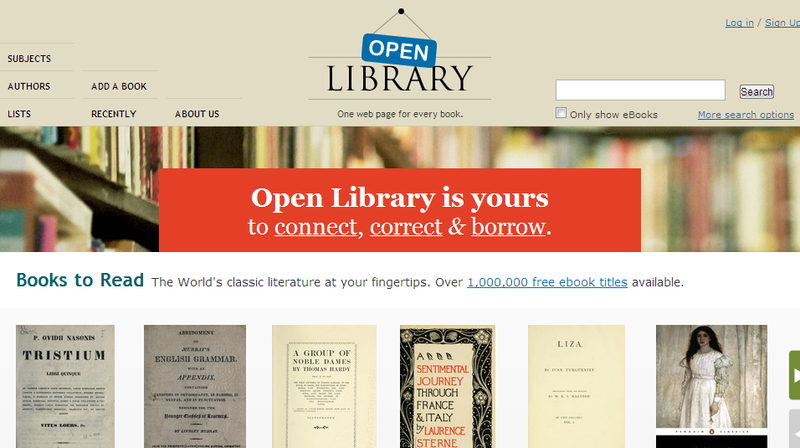 Open Library: Its a non profit open library which offers over 20 million user-contributed items as a part of large catalogs or individual items. 5. ManyBooks.net: This digital library offers thousands of free ebooks. You can download these for your PC, smartphon, iPod, Kindle, or any other device. Bonus 6. LibriVox: This online resource provides free audiobooks which are read by LibriVox volunteers.